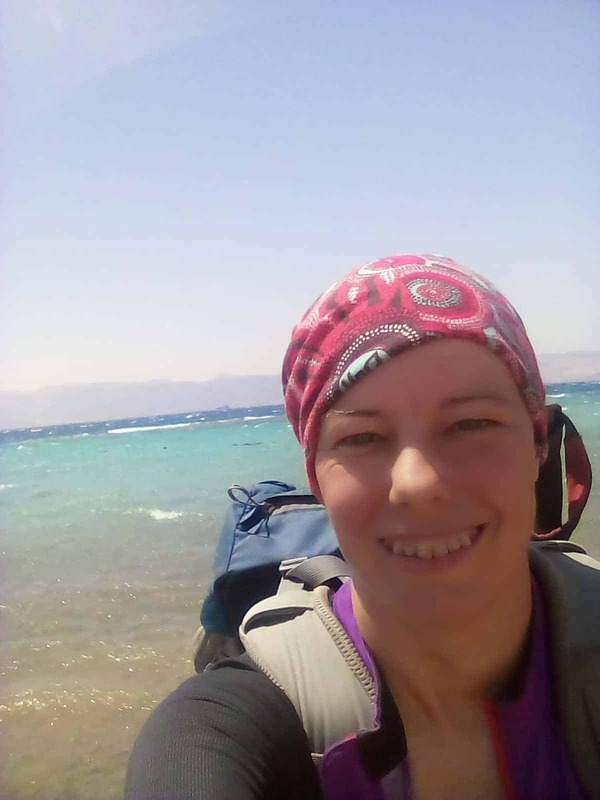 Long time server of NGO’s, Vix Harris, decided to take on an adventure to raise money for a charity close to her heart, Doctors Without Borders. 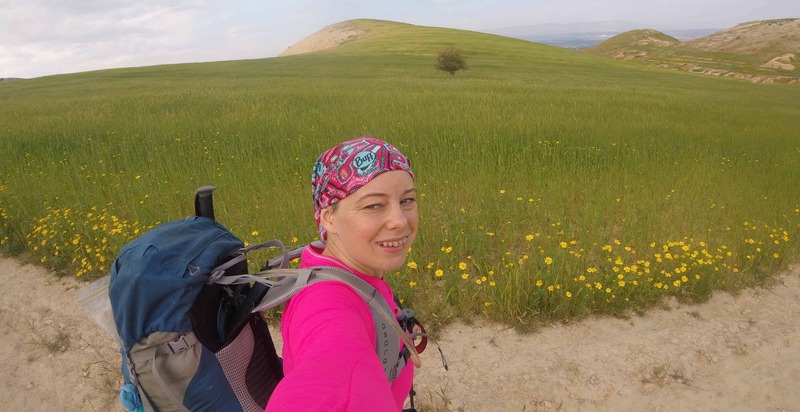 Earlier this year she hiked the Jordan Trail – one of only a handful of people in the world who have done the whole trail. She also set a new bar, completing the 600km trek in just 23 days. I grew up in the Scottish Highlands north of Inverness but moved south to Edinburgh to study before heading to Australia in 2004 where I got my PhD in wine, true story. Since 2010 I’ve been working for international NGO’s to help improve medical diagnostic services in developing countries such as the Thai/Burmese border, Swaziland and Kyrgyzstan. My latest work took me to West Africa as part of the Ebola response and around the world implementing better testing for tuberculosis. I’m writing this from my hotel room in Burma/Myanmar before flying to Ethiopia on the weekend! 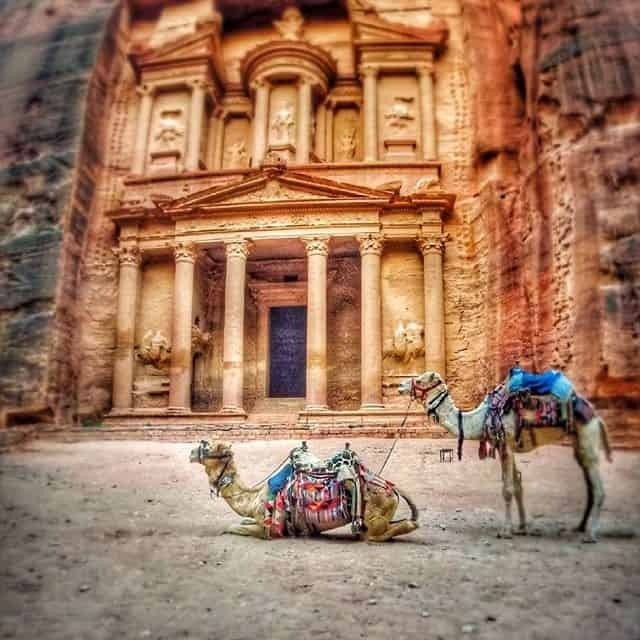 How did you first hear about the Jordan Trail and what made you decide to go for it? I googled trails over 500km and a wiki page led me to the Jordan trail page. 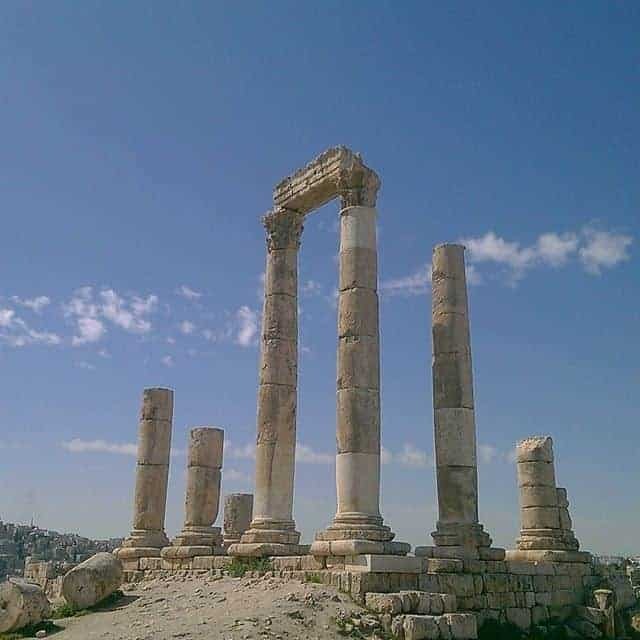 I wanted to hike in a country I had never been to before but didn’t feel confident to plot my own route so the Jordan trail was perfect since you can download all the GPS files and walking notes from their website. Had you done any big adventures like this in the past or was this the first? I’ve never done anything of this magnitude before, I wandered across Scotland a couple of years ago and have hiked shorter trails or sections in many countries, but never as far and often I could rely on my mum picking me up when I got snowed on too much. I actually put in 6 months of planning and training to prepare for this as I knew it would be tough and it all paid off. You managed to raise over £6,000 for Doctors Without Borders while taking on this challenge, how did you raise this amount? The fund raising was more difficult for me than the walking! It was something new, and I wasn’t very active on social media before this but I tried to use as many different outlets as possible to shout about the great work Doctors Without Borders do, which was the easy part because I worked 3 missions with them and have many friends who still work with them. I also harassed friends, family and sent emails to businesses to try to promote my hike and cause. 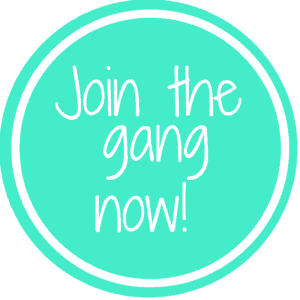 I’m amazed by the positivity, feedback, support and of course, donations received. I was really happy to be contacted by Doctors with borders in Jordan, to meet with them and to film a short piece about fundraising to help explain what private donations mean as it is not a familiar concept there. What training and preparations did you do before leaving? To prepare physically I started running, last year I couldn’t manage 2km but before I left for Jordan I was running 21km trails! I read up about the Jordan trail as much as possible, poured over maps online and planned my days. I contacted as many people as possible who were involved in the trail, had hiked the trail, were going to hike the trail to get as much insight as possible. I arranged to have resupply bags dropped to two spots on the trail ahead of me, so I had food, treats and extra water containers or refills for first aid kits waiting for me. I also planned water drops in the desert sections where there is a 50km stretch without water. It’s just part of my nature to over plan for eventualities, thankfully everything went smoothly. What was your toughest day on the trail and why? One day I broke my phone which was my back up map and only 5 mins later my GPS batteries failed. I had backups, but they were local and rubbish. This would have been ok, but I was in the middle of the most challenging terrain of the trail – the 3 wadis, which are a series of 1000m down, 1000m up hills/cliffs, repeat times 3 where route finding was tricky. I thought about quitting right then, but I took the more reckless option and pressed on with my dodgy batteries and did 38km that day. It was like running a marathon over mountains driven by pure fear of failure. I was terrified of getting lost on the cliffs so I almost ran the route and managed to make it to the top and a road before my final batteries died leaving me without any navigation. Certainly a close call but knowing I had done that meant I was confident that I could take on whatever the trail trew at me. Was there one moment that really stuck out as memorable? It’s simply not possible to distill 23 walking days into one moment, I have a greatest hits track of moments which runs through my head. Every day there is a new amazing vista and new people who are so hospitable that I constantly found cups of tea being handed to me. My favourite section was between Ma’atan which boasts excellent views, easy walking, running streams then onwards to after Petra where the trail winds through skinny wadi’s so narrow you can touch both sides and in one place requires you to crawl through on your belly. You completed this trip as a solo female, did you have any safety concerns before or during the trip? I am a big scaredy cat. I am afraid of my own shadow so before the trip, my biggest fear was…everything! Where would I sleep, what about food, and water and what if I couldn’t walk the distance, snakes, spiders, scorpions, what if I got lost, or was attacked by wolves or my GPS broke or I hurt myself? I was scared for a lot of the trail, but it was all in my own head, and that was a battle. I found places to sleep the same way I did walking in Scotland; walked till I was tired and found a flat spot out of the way. I planned for food and water resupply and I did break my GPS but I didn’t get lost or die of dehydration. The animals and insects didn’t bother me apart from the dogs, which are the biggest non- imagined risk on the trail. I swear they are actually related to the wolves I never saw. I didn’t get braver or less scared but I didn’t listen to the insane paranoid voice in my head. I did take risks but I did so knowingly and with alternative plans. Adventure isn’t supposed to be easy or risk-free but I also wasn’t rushing to put myself in harm’s way and I feel I got the balance right for me. How did you plan each day on the trail? I did most of the planning in advance, but I have to admit I ignored most of it and hiked the hike in front of me! I woke up before dawn and walked until I was hungry or tired. I loved just walking without having to think about life beyond the trail which meant I did long days out of enjoyment. I slept in a mix of hotels, homestays and wild camps, other than where I dropped my resupply bags I didn’t really plan where I would sleep. I would start looking for a camp when I got tired or sore. I aimed to find a secluded spot, away from people and a bit sheltered, which was usually fairly easy to do. I only used a sleeping bag and a bivvy bag, no tent or roll mat so I could set up quickly, not be noticed and pack and go in the morning leaving no trace of my night’s sleep. There were a number of amazing wild camps with clear skies, stunning sunsets and sunrises, I feel so lucky to have experienced these moments and to have them just for myself. There were a number of amazing wild camps with clear skies, stunning sunsets and sunrises, I feel so lucky to have experienced these moments and to have them just for myself. 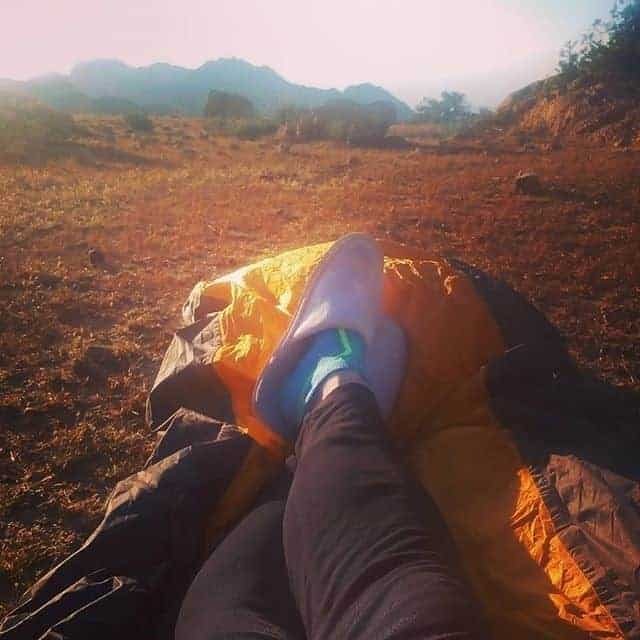 Of course, I was scared at first, and most of the time, the first wild camp night I messaged a friend asking if jackals were dangerous as they were howling all around me in a valley. 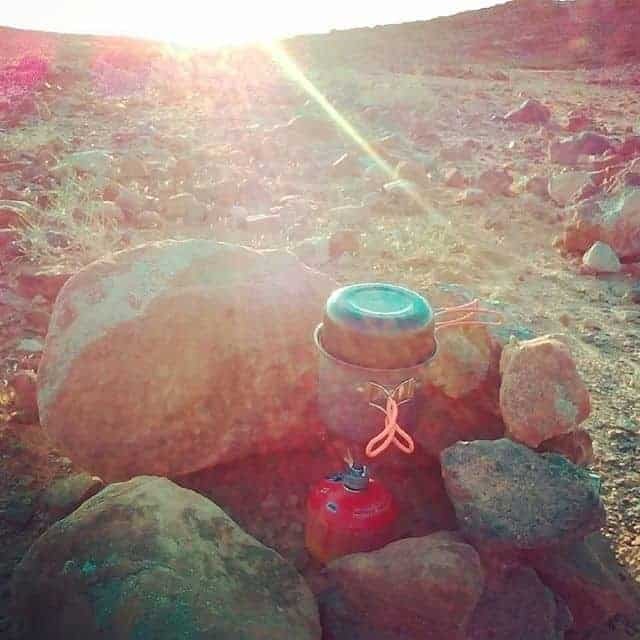 One night I was camping in a Wadi and early in the evening a few Bedouin had come to offer me fresh water, hot tea and if I wanted to move nearer their tent with their wives and family. I declined but was nervous that men knew where I was camping. In the night I heard movement, footsteps getting closer, quietly trying to sneak up on me. My heart pounded and I strained my eyes to try to see where the footsteps were coming from. I made the decisions to jump up, grab my hiking pole as a weapon and shout while flashing my torch… well, I tripped over my sleeping bag, dropped my torch and discover I was being covertly stalked by a bored looking camel. After all my planning and stressing the trip was actually much easier than I expected, I enjoyed the walking and hardships as well as the solitude. I pushed myself hard and found I managed much better than I thought I would. The people of Jordan lived up to and exceeded expectations with so many people offering amazing hospitality even when we only shared a few words in common. I feel like I made a trail family with others who I met also hiking the trail and I never expected that. How did you fund this adventure? I paid for my entire trip, none of the money from fundraising went towards my adventure. But I’m lucky to have a job where I can save money and the biggest expense were the flights. 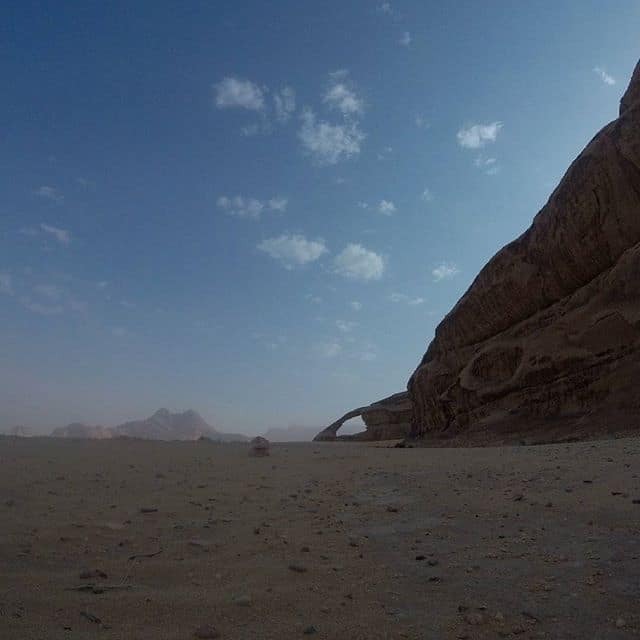 Hotels in Jordan are not cheap, but it’s possible to do more camping if budget options are needed. Food and water were reasonably priced outside of tourist areas and I was often given free tea and had my water supplies topped up by wonderfully kind strangers. 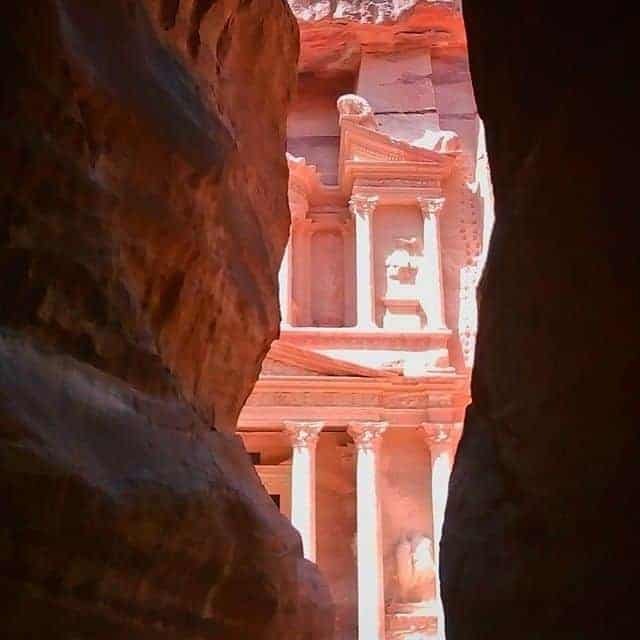 On the trail, I spent around 1000USD including travel in the country, water, food I brought with me, Petra tickets and accommodation which I did a big splurge on when I arrived at Aqaba, my final destination. What advice would you give others who are considering doing a long-distance trek? Pack less, eat more, take good notes as you will forget and call your mum! What would your advice be to your 10-year-old self? Keep doing what you are doing, it’s all going to turn out well, but be nicer to your parents also get the braces in your teenage years, not your 30’s! What’s next for you now, any more adventures? Next is back to work – which means Burma, Ethiopia, London, South Africa but If I could do anything, I would love to walk across Georgia next. Short term goal is to run 100km, not in a race, but just to see if I can.